Retailers face many challenges to create unique customer experiences both in-store and online. Smart retail technology can help retailers engage customers in new, innovative ways that drive loyalty and set their brands apart. 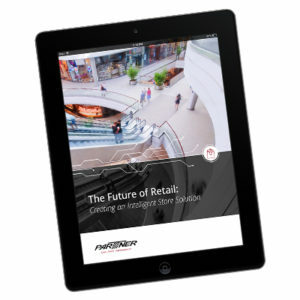 Complete this form for your free copy of “The Future of Retail: Creating an Intelligent Store Solution” to learn more about how cutting-edge technology can create superior customer experiences! Download our e-book to learn how intelligent store technology can create a seamless omnichannel experience.